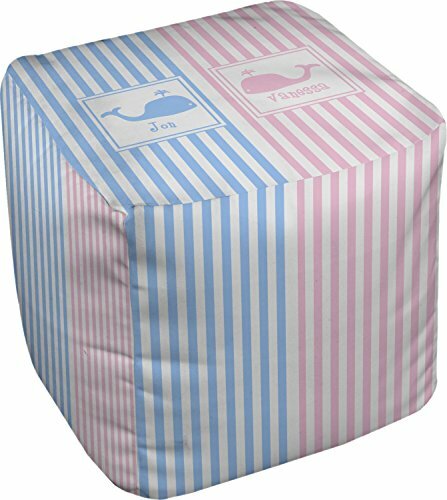 This striped design with whales is the perfect balance between masculine & feminine. It is the design style for sharing! One side is masculine with blue and the other side is feminine with pink. We chose to use simple stripes. We chose to use whales as our graphics with names for personalization underneath in coordinating colors.